Ustad Raees Khan, one of the most outstanding players of sitar, passed away on Saturday. He was 77. He leaves behind his wife, renowned singer Bilqees Khanum, and four sons. Ustad Raees was born in 1939 in Indore, India. He belonged to the Mewati Gharana of Indian classical music. The great sitar player Ustad Vilayat Khan was his uncle. He started playing sitar at a very young age. One account suggests his father gifted him a sitar when he was barely three years old. He was also a vocalist of high merit. He would often sing a composition to illustrate the raga he was playing. One of his early major performances was at the Sunderbai Hall. Apart from performing at a number of concerts as a solo artist, Ustad Raees collaborated with legendary shehnai player Ustad Bismillah Khan on stage. Their performances together are considered to be some of the finest collaborative pieces of classical music. He also played sitar for film music composers. His association with composer Madan Mohan resulted in famous tracks such as ‘Naino mein badra chhayey’ in the film Mera Saya and ‘Rasm-i-ulfat ko nibhaen’ in Dil Ki Rahein. After marrying Bilqees Khanum (his second wife) in the 1980s, Ustad Raees moved to Pakistan. He was welcomed with open arms, and he gave here one great performance after another. He regularly attended and participated in classical music concerts in Pakistan, sometimes playing sitar with his son Farhan. He encouraged young artists with all his heart and always lent them a helping hand. Distinguished writer Anwar Maqsood felt terribly uneasy on Saturday night when he expected television channels to run the news of Ustad Raees Khan’s demise but instead saw the usual newsflashes and heated debates on political issues. “How can they do that? They can’t be this insensitive. After Quaid-i-Azam Mohammad Ali Jinnah and Abdul Sattar Edhi, Ustad Raees was our greatest personality. It’s such a huge loss. The man’s sitar-playing had magic and they (TV channels) don’t know that,” he said. Mr Maqsood was finding it hard to believe that Ustad Raees had suddenly left us. “God had given him a rare gift. His fingers had that rare touch. I have a number of recordings of his performances. He may be physically no more, but he is with us,” said Mr Maqsood. Also read: Music critics wonder — did television kill the classical music star? 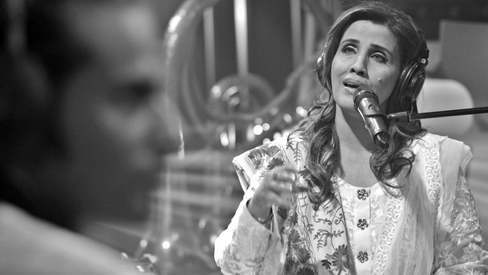 The All Pakistan Music Conference’s Ayla Reza was also distraught. Ustad Raees had performed for the conference and had played a pivotal role in reviving interest in classical music among local audiences. “There are a handful of artists who achieve such greatness in their lifetime. He was known not just in the subcontinent, but was famous across the world. His virtuosity was rare. Not many know that he was a child prodigy. When he was two and a half years old, his father gave him a sitar made of coconut. He was a wonderful person at that. He was worth everything,” said Ms Reza. The country is going to be barren in the field of music. We had finest vocalists like Noor Jahan, Ustad Nusrat as well as Ustad Raees Khan. Now sorrowfully they have been replaced by Gun holders. Rest in peace, beautiful Artist! I remember his memorable performance along Abida Parvin - "Main Sufi hoon Sarmastah, Mera kaun pichhaane rasta". Ustad Raees Khan reached to a level where death can't reach. It is only leaving the body, he is immortal. He will be always with us. My condolences on the passing of the great Ustad. Deeply grieved at the sad passing away of Ustad Raees Khan sahib. He was a genuine knower of classical music displaying its intricacies so efficiently in his sitar playing. An original sitar maestro, so remarkably our own. And now sadly he is no more. It's our loss, his family's and Pakistan's. A great artist of a sadly dying breed belonging to arts and culture of our region. Will miss you. Rest in Peace. Anwar Maqsood Sahib, you sound a tad over the top though about comparison. Anwar Maqsood's compliment is out of line and does not elevate the two names he mentioned. Nobody and I repeat nobody should be compared with our Qauid e Azam Muhammad Ali Jinnah. Mr Maqsood seems to have been caught up with age. But he is a fine individual. A big loss for us. His contribution to classical music was immense. Pioneer and creator of new bandish in raag Des and Malhar. Introduced the gaiki ang in sitar. 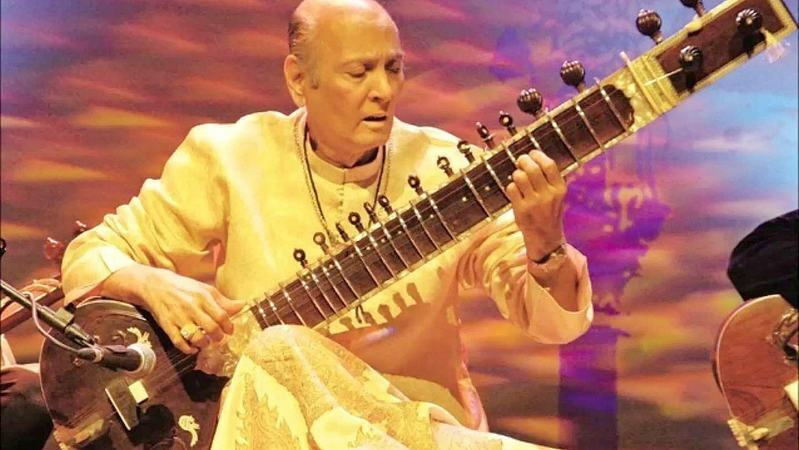 Salamat Ali khan was once asked to comment on raag Bhagesheri played by ustaad Raes in a classical music gathering, he is reported to have said that the raag was played in such an open and complete fashion that there exists no need to talk on it. Shaukat Hussain accompanied him on tabla that night. Ustaad Raes Khan's words of wisdom and beautiful sound of Sitar will always keep him alive in our hearts. there is no place for such big artists in pakistan. Great loss to Classical Music, Pakistan and India. 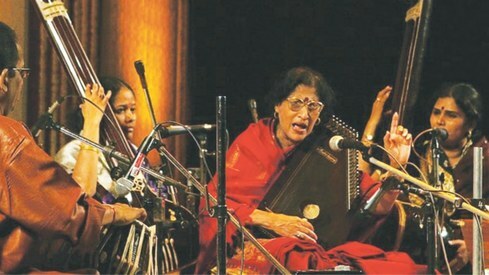 A great loss for the classical music in the Indo-subcontinent. With all due respect Mr. Anwar Muqssod Sahib missed out many other great and noted Pakistanis when he said "After Quaid-i-Azam Mohammad Ali Jinnah and Abdul Sattar Edhi, Ustad Raees was our greatest personality"
Came as a complete shock to hear about Ustad Raees he was the torch bearer of Mewati gharana. A very rare gem passed away. RIP Ustad Raees Sahib. Wow Ustad saheb! I see gentle reminder of "hamsadhawani" raag. This was adapted by Hindustani folks from Carnatic music in India. That Madan Mohan composition in the movie "mera saya" was in raag bimblasi. He will be missed. RIP genius! classical music lovers of entire India,especially those who loved Madan Mohan music will be in deep mourning in his sad demise ! R.I.P.! May GOD bless his soul! He made magic happen when he picked up his sitar. His alaaps were stunning in their virtuosity, and each note he played was crystal clear.I had the privilege of knowing him and hearing him play many times. RIP, Khan Sahib. Anwar Maqsood said : -- "After Quaid-i-Azam Mohammad Ali Jinnah and Abdul Sattar Edhi, Ustad Raees was our greatest personality. It’s such a huge loss. 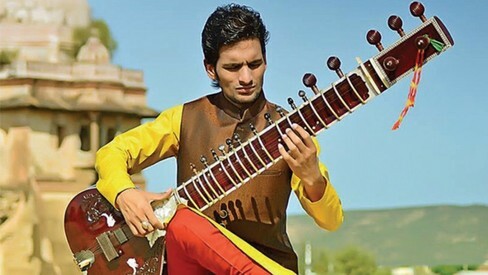 The man’s sitar-playing had magic and they (TV channels) don’t know that,” ... Well sir, thats the price for moving out of India which gave one so much recognition, only to die an anonymous's death. The classical music is now orphan and I sincerely hope some one will come forward as patron of classical music. May soul of Ustad Raees Khan rest in peace in "Jannat". Rest in peace. A great loss indeed. The man is no more but his music lives. Rest in peace. You gave us so much. I had an opportunity to see him in late seventies in the house of Hindi film music director Ravi Saheb. He introduced me to Khan Saheb with an information that there was a Cameo of sitar played by Khan Saheb in the song Tora Man Darpan Kahlay in film Kajal under baton of Ravi. We will miss this great Sitarist. Indians and Pakistanis can get together on such occasions, why can't they be together all the time instead of wasting tons of money on arms. Ustad Raees Khan was not only Sitar mestrio but very nice Singer & Composer, he was very famous among the Bollywood Music directors. So many music directors take his compositions, but rarely he told about that, Lakshmi kant Piarey lal, Madan Mohan, Ravi &,so many Music Directors use him, his famous compositions are, ""Merey dil me aaj kia hai tu kahey to kahey to mai batadoon"" Bindya chamkey gi bijli chamkey gi" Jo hum ne dastan apni sunai aap kioon roey"" Paththar ke sanam tujhey hum ne mohabbat ka khuda jana"" He was allrounder Musitian, His death is very big loss for India &Pakistan Music. There are somany Ghazals he sang are on FB. Bhands and merasees are our greatest personalities, its very shameful that we do not give our scientists their rightful positions. Our stars and heroes are actors, singers and musicians. Allama Iqbal said, "shasheer o sanan awwal taoos o rubab aakhir". We produced one Nobel prize winner scientist, but we do not acknowledge his efforts. We are already barren in the field of science and technology. The music has no boundary and the Indian classical music is the soul of culture of the Indian subcontinent. May be sometime, the music will unit us again. Huge loss, his place cant be fulfilled by any one, he is the one of his kind, may his soul rest in peace. its a truth that legends are born in centuries. @aukhan Seriously? Someone passed away and this is what you have to say. Have some shame, if you have any. His family may be reading the article.